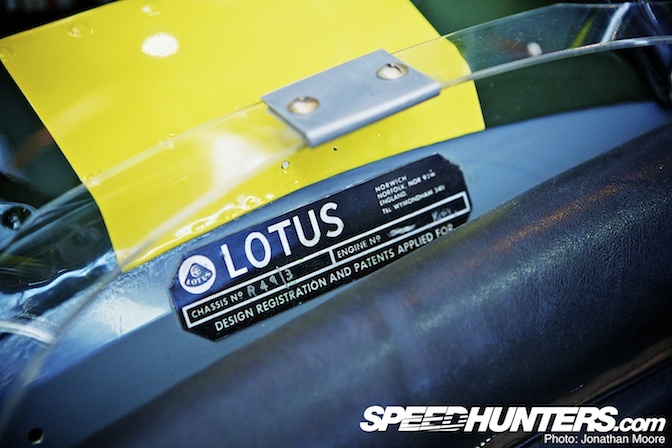 It's no wonder that the recent return of the Lotus name to Formula 1 has caused such controversy – or that there has been such a fight over the two teams laying claim to it this year. Lotus occupy a mythical place in Formula 1's history: the 'English Ferrari', the innovators, the risk-takers – the winners. But if Ferrari could be thought of as Formula 1's beating heart, Lotus was definitely its brain. 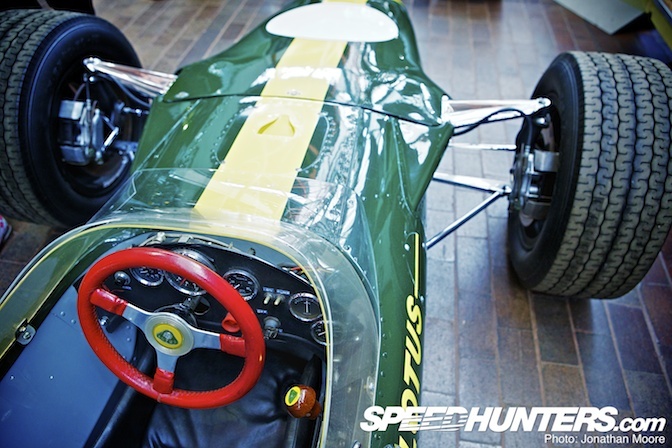 The team came from humble origins, as with so many British teams of the time: after a period racing self-built cars, in 1952 pioneering marque founder Colin Chapman created Lotus Engineering, producing a run of lightweight sportscars (the beloved Lotus 7's DNA is clearly recognisable in the early MkVI). He then branched out into Formula 2 with the formation of Team Lotus and the development of the Lotus XI – a vehicle in every sense for the driving aspirations of Chapman himself. Single-seaters followed, and in 1958 the Formula 1 regulations allowed Lotus a look-in with the Lotus 12 – albeit without success. 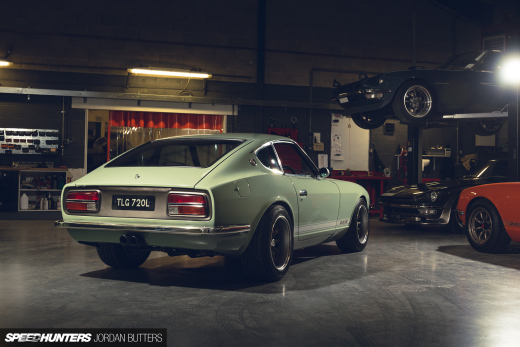 Chapman withdrew from racing to concentrate on the technical side of the sport. And the Formula 1 world did tremble… He left a legacy of stunningly innovative cars (some huge successes and others abject failures it has to be said), and some of the great names raced for Team Lotus: in its formative years that list included Stirling Moss, Graham Hill and, of course, Jim Clark. 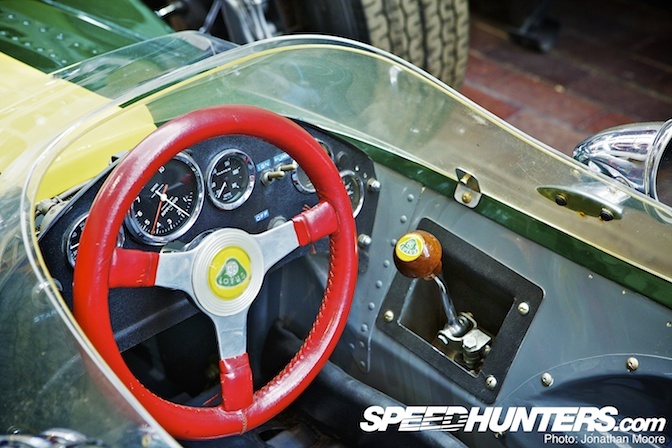 The latter two's exploits are inextricably linked with the Lotus 49. 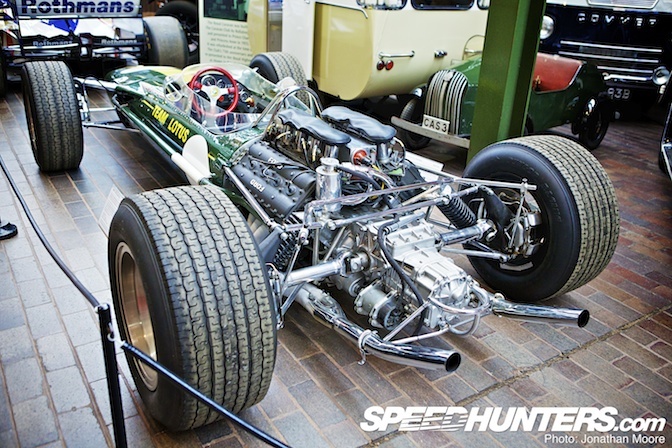 This Lotus 49, chassis R3, represents the period when Lotus became the team to beat in F1 with the newly introduced Cosworth DFV engine mated to a typically cutting edge (read: fast but fragile, and initially difficult to set up and unreliable) truncated monocoque Chapman chassis. The structural use of the engine was a new concept – and just one example of many Chapman innovations. 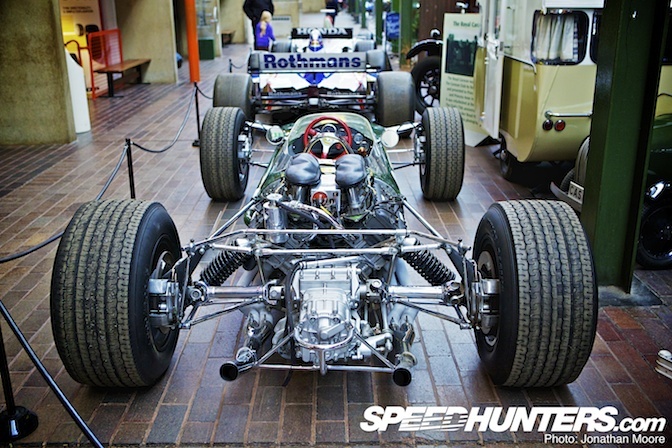 The DFV acted as a stressed member: it's bolted to the rear of the monocoque and stands exposed, its mechanical purity unencumbered by bodywork. The rear suspension pick-ups all mount off the 3-litre engine, which produced 408hp@9,000rpm, giving this 49 a top speed of over 180mph. 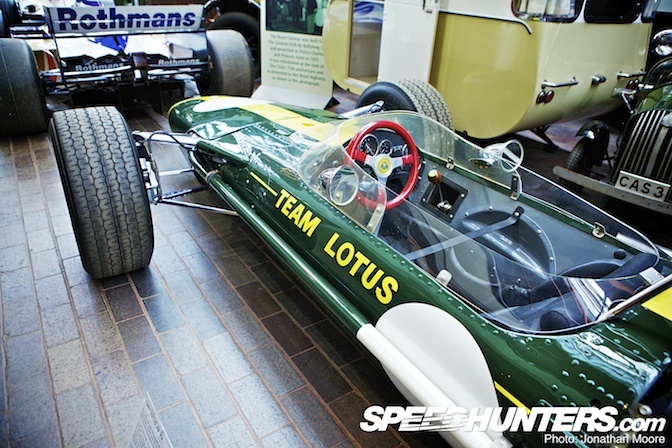 In total, 12 Lotus 49s were built: only seven remain. Chassis R3 is the sole surviving car from the 1967 season: it was built-up overnight for Graham Hill on the eve of the British Grand Prix that year. 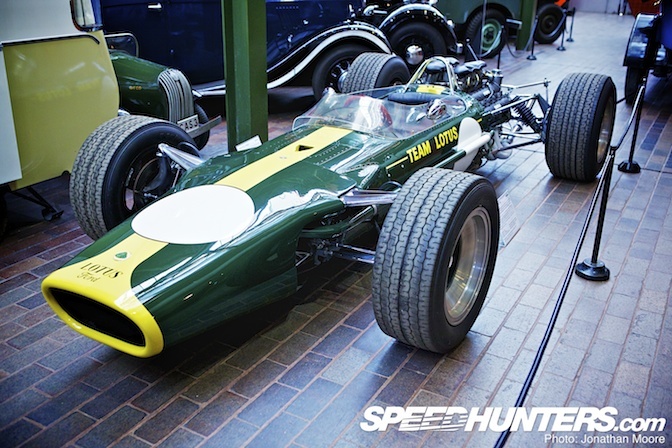 The car was sold into local privateer hands after the 1968 South African Grand Prix, where it raced for many years. It was then restored in 1982 and brought into the Museum's collection in 1985. The 49 didn't stand still in development terms: 1968 saw the difficult birth of aerofoils in F1 and the 49 sprouted precariously delicate wings front and rear, mounted high above the bodywork on exceedingly thin struts connected directly onto the suspension. Multiple failures at high speed and several near-fatal accidents led to the new technology being banned and limited to low wings connected directly to the bodywork. 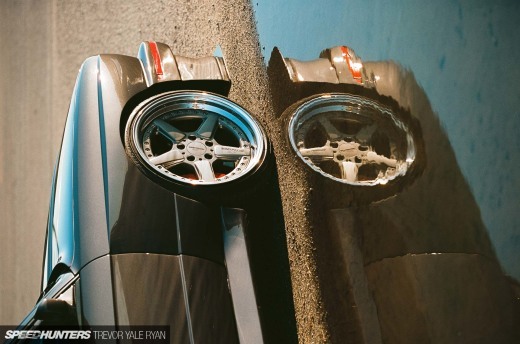 In both the wingless and low-winged iterations the 49 is a stunning car. 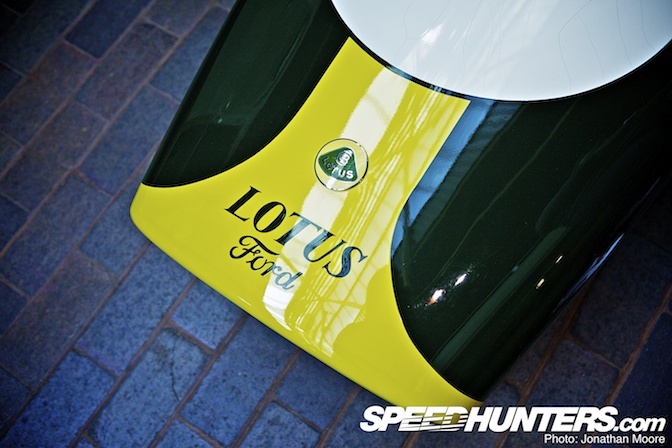 Another change on the horizon was the introduction of sponsorship – R3 is presented in its original purist green and yellow Team Lotus colours, but during the following season sponsor decals increasingly adorned the bodywork – eventually leading to the (still iconic, nonetheless) red and gold Gold Leaf livery part-way through the 1968 F1 season. Between 1967 and 1970 the Lotus 49 took 12 wins and gave Lotus two drivers' and constructors' World Championships. It had originally been scheduled to be replaced by the 4WD Lotus 63 in 1969 (Hill called the car a 'deathtrap' – though that wasn't an unusual thing for Lotus cars of the time…), but the failure of that car meant the 49 was pressed backing into service until the introduction of the 72 the following year. The 49 was a lithe, graceful car from a glorious period of F1 where the cars looked alive on track: drivers constantly fighting oversteer from the powerful on/off engines of the time and exposed suspension in perpetual motion in its efforts to keep the rubber in contact with the tarmac. As with so many cars at Beaulieu, it was a special moment to be able to get so close to such an important racing car: I'm proud to say that I've now held the steering wheel of a car raced by Hill and Clark! What a beautiful and innovative car. I have really been looking forward to the spotlights of the cars from this museum. Thank you very much. I LOVE articles like this. More racing legends please! Great write up, interesting and informative. Thanks for sharing! I always liked this car, not sure why. 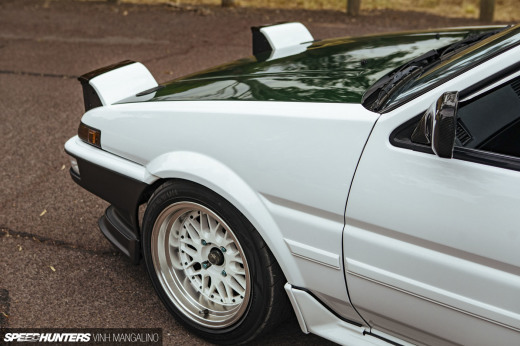 Great car, and a fantastic article. Thanks Jonathan. What a historical car. More articles like this! Love these articles, maybe see if there are period pics of the changes, ie, wings etc to accompany the captions? you know it's a death trap when THIS thing is considered safe! seriously, could they have made the suspension linkages any smaller? it's no wonder so many men lost their lives back then!